Typically, seeing a busker performing on a street happens haphazardly while getting around town. There might be a crowd building or something being heard in the distance. But it’s pure chance as to who or what you find. And for a few claps and chipping in a bit of change to say thanks, it’s value for money entertainment too. So why not use the power of technology and bring a whole bunch of performances together doing just that? After all, there’s this marvellous thing called the Internet. And at the same time, perhaps there’s a way of helping out a couple of great causes too. March 20, 2016 is the United Nations World Day of Happiness but it also brings the inaugural LoveBusk, a 24-hour virtual music festival with a line up full of performances from artists and speakers who will donate 50% of profits from tips to a for-purpose cause of their choosing, with the other 50% making its way to OrphFund which has been selected as LoveBusk’s for-purpose partner. And anyone with an internet connection can come along for the ride…no need to get out of bed, or off the couch. No mud, no camping, no rain, no sunburn, no toilet queues, no transport issues, no ridiculously priced beverages…no excuses! LoveBusk is looking to inspire people to create positive change in human & environmental well-being. 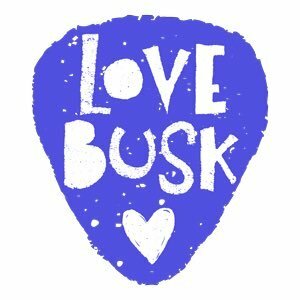 The artists are bringing the music, LoveBusk has the organising under control, and everyone has the chance of being involved in the world’s first multi-streamed festival united for purpose. The first round of acts has been announced with a few stand outs (including the Pierce Brothers), and more to come. Registrations to attend open on 24 February.